Despite requests from a group of veterans who wanted to make the famed carrier Enterprise a museum, prohibitively high costs will make that impossible, Military.com reported. Because it is nuclear-powered, large sections of the ship will be removed after its decommissioning, scheduled for Dec. 1, to take out the nuclear reactors. 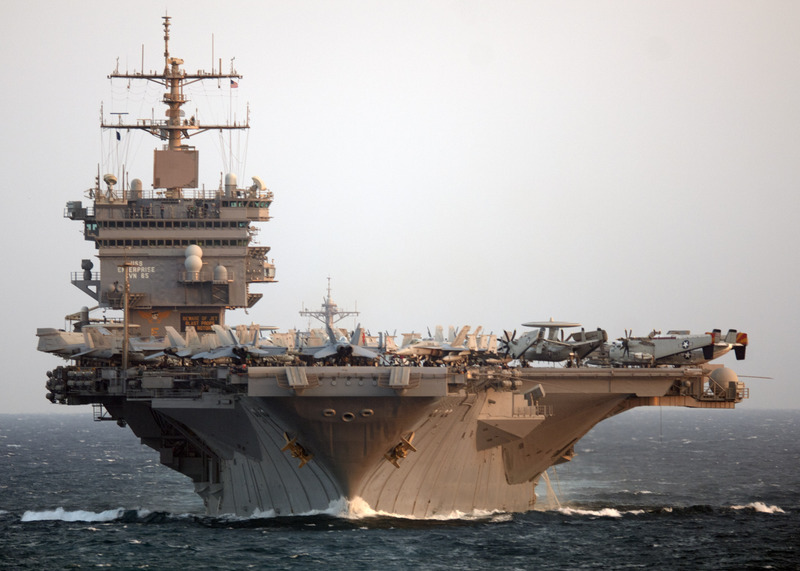 Replacing those sections and implementing a new power system on the ship would be too expensive, likely costing tens of millions of dollars, Rear Adm. Thomas Moore, the Navy’s program executive officer for carriers, told the website. Some artifacts, like the last flag flown over the ship, plaques and photos of the ship, will be saved and likely donated to museums for public viewing according to Naval History and Heritage Command policies. There are three museums on aircraft carriers in the U.S.: the USS Midway in San Diego, the USS Intrepid in New York City and the USS Yorktown in Mount Pleasant, S.C. There is also a rumor going around that the Enterprise could be sunk and become a reef. I think this could be a viable solution. Why tear her up and sell her for scrap. That’s like tearing a piece of my heart out .